Five women graduated from New York City’s Fire Academy on April 18, bringing the number of women serving in the Fire Department of New York to 72. A milestone if we thinks it’s the highest number in the FDNY history. Anyway, despite these, women still make up less than 1 percent of New York’s 11,000 firefighters. The city trails Minneapolis, San Francisco, Seattle and Miami, where in recent years fire squads have been more than 10 percent female. The national average hovers around 5 percent. Approximately 10,300 women nationwide worked as full-time firefighters in 2016, according to the most recent data available from the Department of Labor. In 1983, there were just 1,700. These women are on the front lines, fighting fires or helping victims of natural disasters. Still, there are almost 200 years since women have putting out the fires in the United States. In 1815 Molly Williams joined New York City’s Oceanus Engine Company No. 11. Williams was a black woman enslaved by a wealthy New York merchant who volunteered at the firehouse. Williams would accompany the merchant to the station to cook and clean for the all-white, all-male crew. One evening, the alarm rang at Oceanus No. 11. The men were incapacitated by the flu, so Williams grabbed the hand-pumped hose and answered the call alone. Her strength so impressed the men that they offered her a job. In 1926, 50-year-old Emma Vernell became New Jersey’s first female firefighter when her husband, Harry, a volunteer fireman in the town of Red Bank, died in the line of duty. Many more women took their husbands’ places in America’s volunteer fire service during World War II. By the mid-1940s, two Illinois military fire departments were “manned” entirely by women. In 2008, almost 70 percent of all aspiring female firefighters passed the national Candidate Physical Abilities Test, which tests for endurance, strength and cardiovascular health. The same year, 75 percent of male applicants passed. 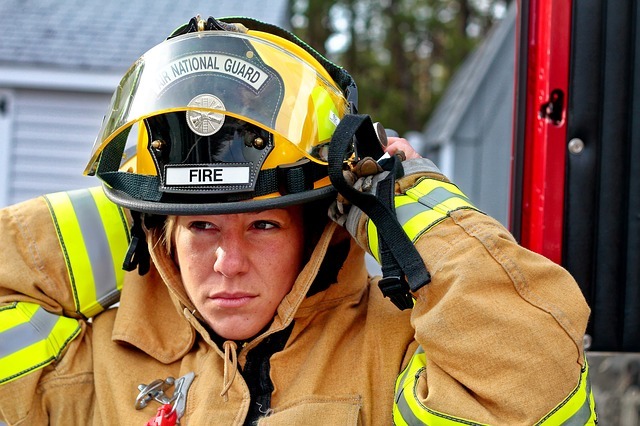 Female success rates rise when departments offer specialized preparation programs for women to work out together, get hands-on experience with firefighting equipment, and follow individualized strength-training routines. More than that, it seems that women are much better represented in fields that require a comparable level of strength and stamina, including drywall installation, logging and welding – though they remain minorities. And in the end, the question still remains. Why are just 5 percent of firefighters female? Well, it seems that the main obstacle facing women in firefighting is its traditional culture. Just like soldiers, firefighters are viewed as proud warriors working on dangerous front lines. That image comes with powerful stereotypes about who’s best suited to do the work. Several hundred have risen to the level of lieutenant or captain. Another 150 hold the highest rank, fire chief. 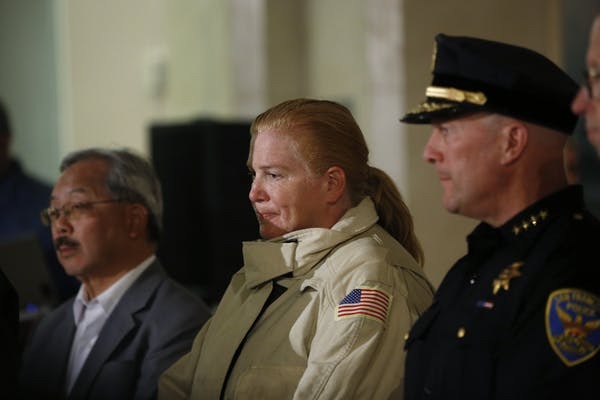 That includes Chief JoAnne Hayes-White, whose historic 2004 hiring made San Francisco the world’s largest urban fire department led by a woman. Meanwhile, these women are transforming how Americans imagine heroism. 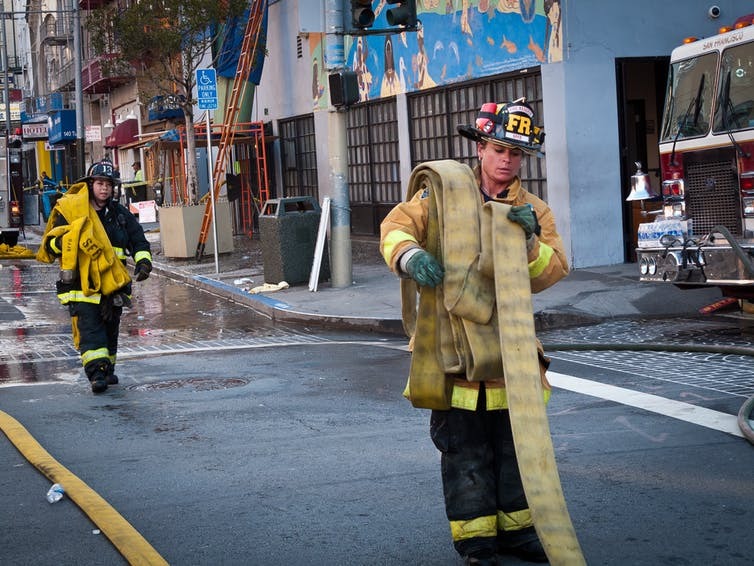 A woman in San Francisco said she intentionally stands outside the station during down time so that neighborhood children realize that black women can be firefighters. “You have to see it to be it,” she said.